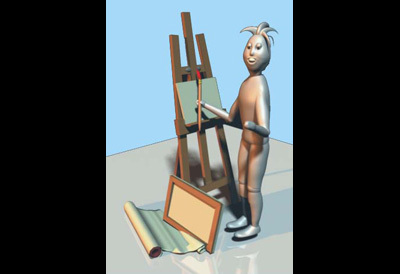 I started to work with Maya Modeling software as an independent study Studio Art course in college and have used it to create several characters. 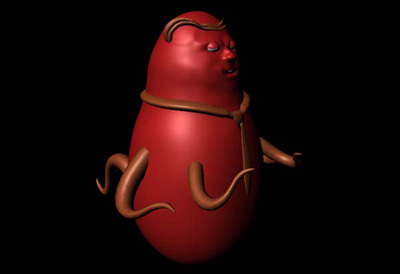 Most of these characters were microscopic cell people completed as part of an animation feature. In addition to modeling the forms, I was able to learn a lot about the interface of the program. 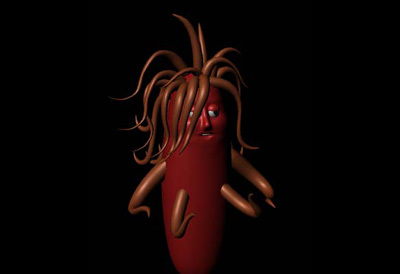 I have experience with both nurb and vector based modeling. One of the most useful Maya operations and my personal favorite is the polygon extrude tool. 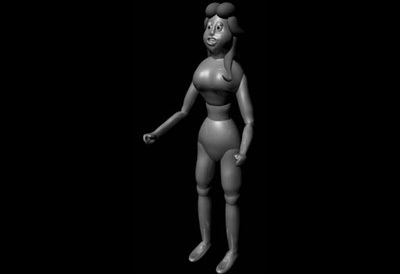 I have started to educate myself on the finer points of rigging characters for animation. I hope to learn more as I continue to explore the vast options of this program. For now I have a couple still images of my characters to display. 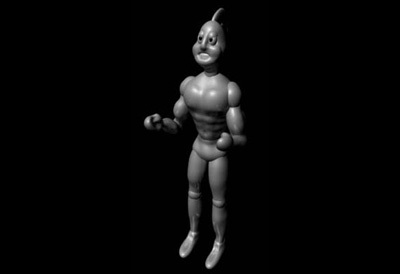 The Hero's Son Model is also about form and is not rendered in color. Roco was the boss bacterium in my model and story board. I explored with morphing the cylindrical geometry of his face to give him a weathered fighter look with skin imperfections and a once broken nose. Barone was another bacterium modeled as a side kick or inforcer to Roco. 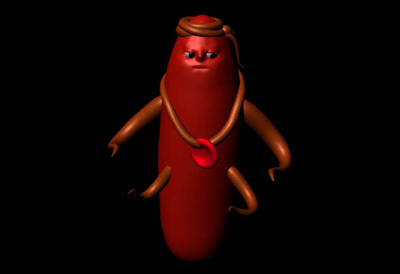 I wanted to take his flagella to manufactor a makeshift bandana and also represent a red blood cell necklace. He is the other side kick bacterium to Roco. I wanted to give him the punk look with the 80's big hair. The Virus would also be modeled in a darker tone and serve as the many anti heros of this universe. 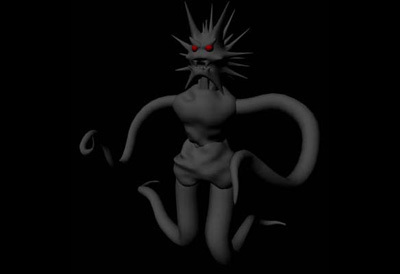 I enphasized a menacing look extruding several sharp projects from various points on the spehre form and utilizing nurbs on the body region.